Ana sayfa Ülkeler Asya Beijing, I Love You! Beijing, I loved living in this city, I really did. But when it came to writing about my life there I really struggled. I’ve started and re-started this piece of writing so many times in the four months since I’ve been home, without being able to finish it. 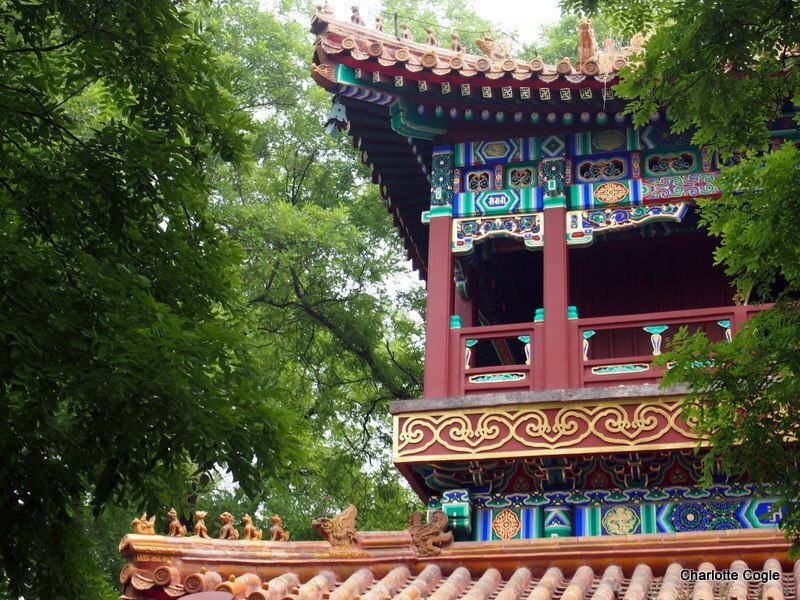 I made a promise to Kemal that I would write about Beijing, and I fully intended to keep it. But first I had to work out why it was so hard to say why Beijing was such a great place to hang out for four months. It’s only just recently that I have understood where my problem was: I lived there for four months as a resident, rather than as a tourist or a long term traveller. I’d been to Beijing before and had seen all of the really famous places (I’ll write about them some other time), so this time I was looking at the city in a different way. This time, many of the things that made the biggest impression on me were things that I did because I was a resident and not a visitor. So that’s how I’ve chosen to write about my home city in China – I want to share some of the enjoyable things I did there, the things that charmed me, that I probably wouldn’t have experienced on a shorter visit. I hope you enjoy this! I like zoos, but many Asian countries, especially East Asia, do not have great zoos. I know – I’ve been to some truly bad ones. But in the drive to clean up Beijing and make it an international city, the zoo got a facelift. In general the animals live in nice conditions, seem happy and healthy and only some of the enclosures smell bad. Don’t go in the weekend – believe me the animals are more comfortable in their cages than the human crowds shoving and pushing against each other. Beijing is flat and although the traffic is madness, drivers are courteous. It’s a great place to ride a bicycle. There are not as many bicycles as in the past, but it’s still a good way to move short distances around the city in the warmer months. In Wudaokou, most students have a bicycle. I should say that brakes don’t seem to be important and that you are more likely to be hit by a cyclist than a car! I’m a cat person. I don’t mind dogs but cats are my favourite. Around Wudaokou and many other places in Beijing, people treat stray cats very well. In the winter they leave cardboard boxes with blankets in sheltered places so the cats have somewhere warmer to sleep. Walking around my university I would often see small plates of cat food left out for the cats. Some of the cats were really friendly as well. I though it quite nice. And across from my hotel there was a small tea house. 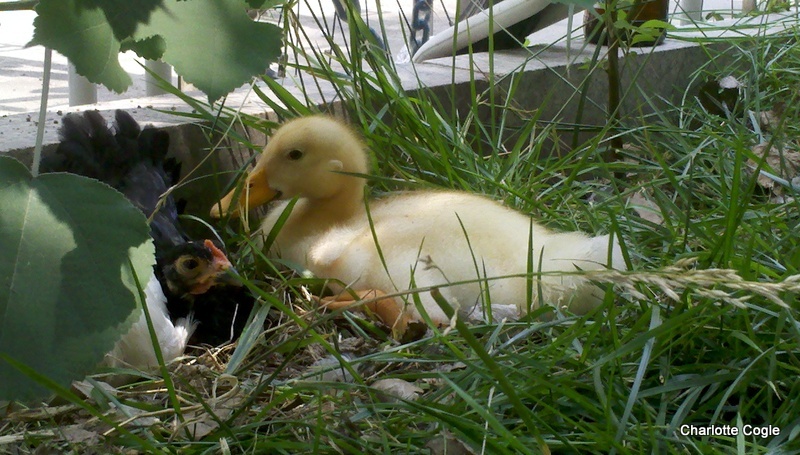 The owner of the tea house had three baby chickens and a duck in a cage and every lunch time he let the chickens and the duck out to walk around the university. You would never see this in New Zealand. Cute! This absolutely has to be the most important thing I share. The hospitality I received in China from the people I worked with and my students was excellent. I was so well looked after I almost never had to do anything for myself. Many people who visit China do not think Chinese people are friendly and it’s true – at first they are very business-like and seem only interested in taking your money. 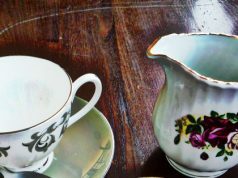 But when you establish a relationship, even if it is to go to the same café regularly, they open up more and are quite lovely. An example: one night when I was out walking it began to rain unexpectedly. I didn’t have a jacket or umbrella and was resigned to walking home wet. I heard someone calling and footsteps running up behind me. It was a young Chinese girl. She pulled me close and put her umbrella over both of our heads. We tried to talk, but I didn’t have any Chinese except ‘thank you’ and her English was very, very poor. But we laughed and smiled at each other until the rain stopped and I carried on with my walk. This memory is as good for me as walking along the Great Wall of China. The Drum and Bell Tower pub sits between the Drum and Bell Towers in a small circular street lined with rickshaws and their drivers. The towers themselves are on the tourist route and sit next to Houhei, but they aren’t that exciting. The D and B pub however offers cheap beer on a roof top shaded by trees. Don’t use your energy climbing the tower stairs: have a nice cool beer in the shade! 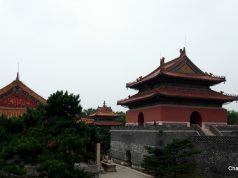 Lama Temple is one of the largest working temples in the city. Don’t go if the smell of incense bothers you – burning incense is a big part of Buddhism and in this temple it gets burned in enormous bunches. A beautiful temple but I did leave with a slight headache. Houhei is a small artificial lake created by one of the Chinese emperors. 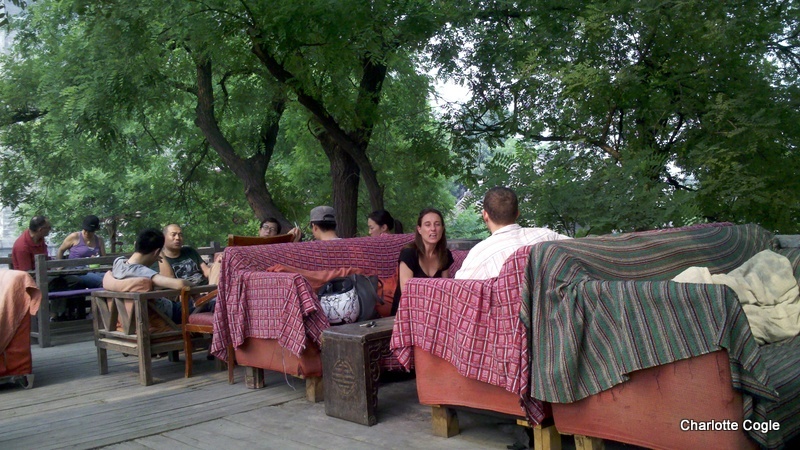 Nowadays it is surrounded by bars and cafes and is one of the trendy places to go in Beijing. It’s great to visit both day and night but is liveliest at night in the summer. It’s not just about young wealthy people socialising – it’s also a popular place for families to walk around, even late at night. At the moment, it’s a little difficult to visit by public transport, but in a few months a new subway line will spill even more people into this area. Is this good or bad? I don’t know. 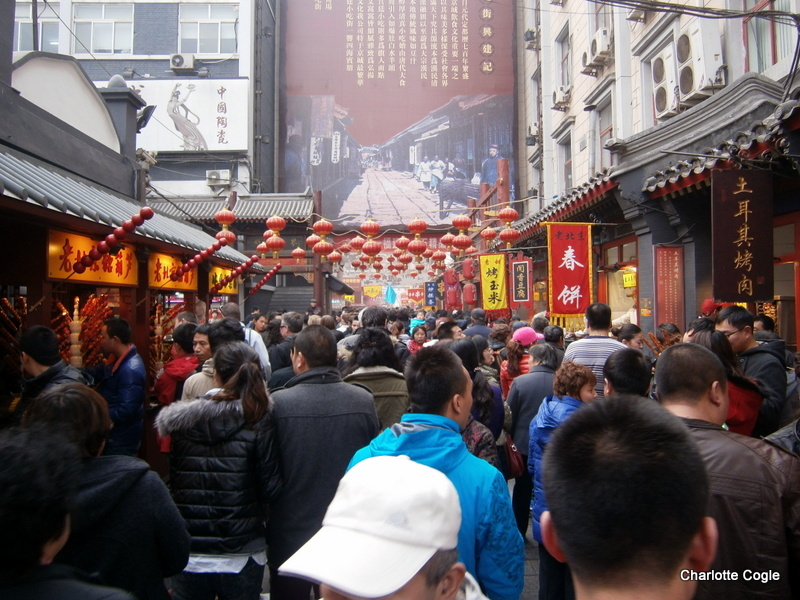 These are a traditional Beijing way of life that is fast changing into a tourist show piece. Hutongs are the narrow streets where ordinary Chinese people used to and still do live and work. Modern Beijing is all architecture and roads, but the Hutongs provide the flavour of China in the past. You mustn’t miss them if you visit Beijing. Sanlitun, modern architecture, enormous shopping malls filled with international brands, the most expensive bars and restaurants in town and the largest collection foreigners in Beijing. It sounds like Sanlitun should be awful, but it isn’t. It has a more multicultural buzz than other parts of the city. 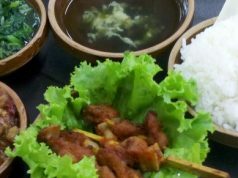 It’s definitely a good place to go if you’re feeling homesick for familiar food or shopping. And it’s a great place for a night out if you have the money. 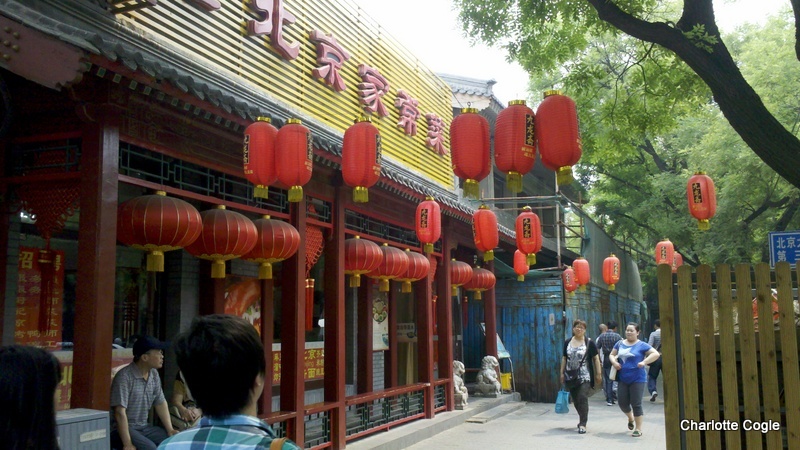 The Den is both famous and infamous in Beijing as it’s been around for years and is a major social spot for expats working in the city. It’s a British style pub/sports bar in Sanlitun staffed by Mongolian (the rumour is that they are all ex-prostitutes) waitresses. This is a great place to watch international sports and drink large, cheap serves of beer during happy hour. It looks like it belongs in Renaissance Europe, not China, doesn’t it? The emperor who built it had a real taste for Italian architecture and employed two Jesuit priests to design a European style palace for him. Unfortunately in the Opium Wars in the 1800’s the French and British armies almost totally destroyed the complex. Later, local people slowly started removing pieces of stone for their own personal use. It took many years to try and restore the Old Summer Palace to look something like the original, but I quite like the ruins as they are – they look even older than they actually are. I saw this in my first week of my four month stay in Beijing – it was quite amusing, because it didn’t look Chinese. It is a tourist attraction, but not many people know about it. In 2005 when I first visited China there were two subway lines. In 2012 there were fifteen. This is unbelievable to me – it takes years and years for anything to happen in New Zealand, but the Chinese government can build thirteen new underground lines in seven years? Amazing! A new line will open by December 2012, and there are plans for at least 4 more lines over the next five years. When they are finished, Beijing will be one of the easiest cities in the world to navigate by subway, as the subway will cover the entire city in a grid style pattern. And it is extremely cheap to travel on! Wangfujing Street, I’ll never forget you! A great place to get scammed but weirdly enough, I have a fond place in my heart for this ultra-touristy street! Wudaokou is a large suburb to the northwest of central Beijing. It’s not on the tourist route at all, but it is one of two areas in Beijing that have a large number of foreign people living there, so it’s quite cosmopolitan and comfortable to live in. Wudaokou is famous for being the university area of Beijing as there are more than 8 major universities and many smaller ones there – over 200, 000 students in all, many of them from other countries. It also happened to be where I also lived for the four months of my stay. The top two universities of China are in Wudaokou – Beijing University and Tsinghua University. My Chinese colleague Neal took me on a tour of these two universities but looked unhappy the whole time we were looking around. When I asked him why, he told me that he felt inferior to all the students we were passing because only the best of the best gained entry into these universities. My university was Beijing Language and Culture University (BLCU) – where most foreigners go to learn Chinese. This was a lovely campus with trees and small gardens. Youth Park is a tiny (football field sized) park very near to where I lived. I found it by accident when I was out walking one night. I heard dance music (a waltz, not the modern club style of music) and followed the sound. I was so surprised to find a tiny, beautifully landscaped park with a central paved square that had people of all ages dancing on it. The music goes on at sundown and gets turned off at 9.30 pm exactly, every evening. People dance, skate board, rollerblade, do gym exercises, play table tennis, play with their kids in the playground, sing in small groups, practice martial arts, play musical instruments, walk, talk and spend time with their friends and family. This is my number one favourite place in Beijing and is at its very best at about 8.30pm at night. 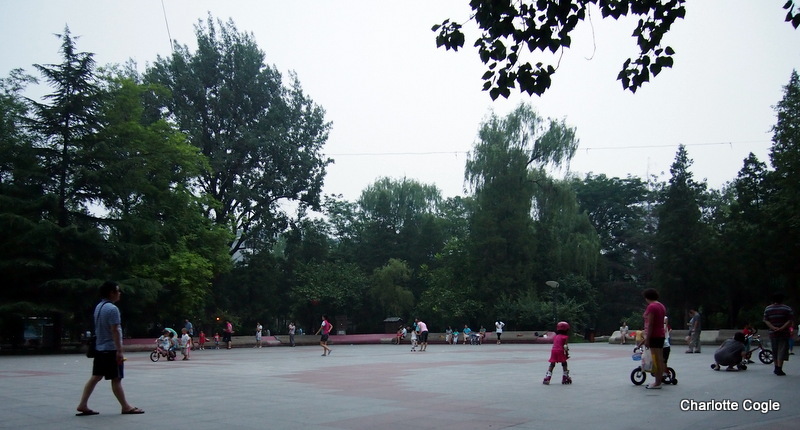 Yuyuantan Park is one of Beijing’s biggest public parks. You have to pay to enter, but it is worth it. The best time to go is spring, when there are many, many cherry blossom trees, but the lake and the gardens are nice in summer as well. 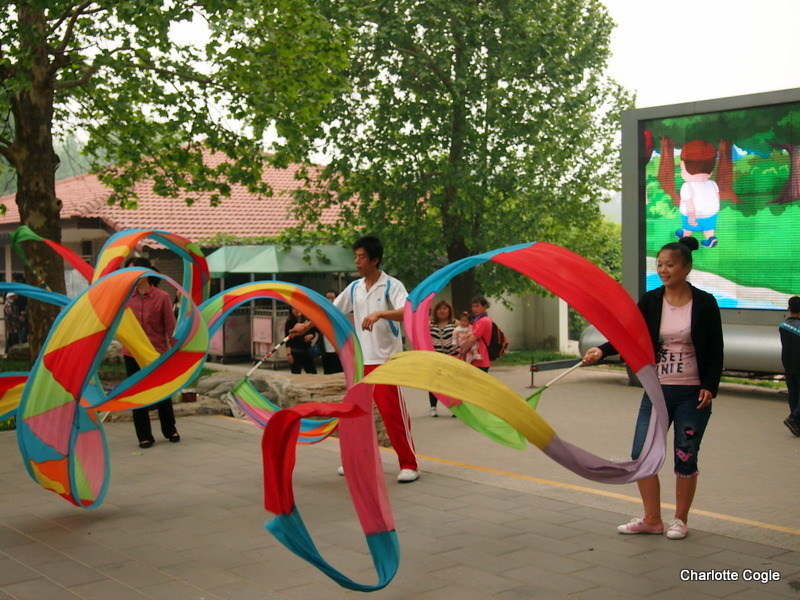 Like all of the parks I visited in China, it was filled with people enjoying their free time in many, many ways. Parks always seemed to be happy places to me. They got me good: I am Scammed! Brings our memories from last year…wish to stay and explore more…..Thanks Charlotte! I think so, many people asking me through contact form. This way is much better. Everyone can see now questions and answers, It may helpful.